Every level of They Need To Be Fed 2 ends with you hurling your big-headed black and white body into the gaping maw of a carnivorous plant. Trust me, it's for the best. As it was with Jesse Venbrux's original They Need To Be Fed, the goal of this perfect little platforming sequel is not to raise a flag or rescue a princess, but to sacrifice your life. There's no explanation as to why this is necessary — it's just what must be done. They need to be fed. Deal with it. Even more puzzling is the fact that this is not a simple leap into the jaws of death — you've got to work for it. Each of the game's more than 50 levels is a gravity-powered platforming puzzle. You walk around the edges of objects in 360 degrees, held tight by gravity, even when jumping. Imagine a 2D Super Mario Galaxy, and you're on the right track. The challenge isn't quite as intense in the sequel as it was in the original game, though it's hard to tell if that's a effect of my own familiarity with the series or a design decision. There's an Epic Mode to unlock, however, which supposedly ups the challenge, removing checkpoints and adding explosions and such. Oh, and if you do manage to grab the game and play it for any length of time, you'll be wanting Jake Almond's entrancing music to play on every device capable of emitting sound. I recently upgraded to the HTC One with dual front speakers, and Almond's tracks sound glorious coming out of it. 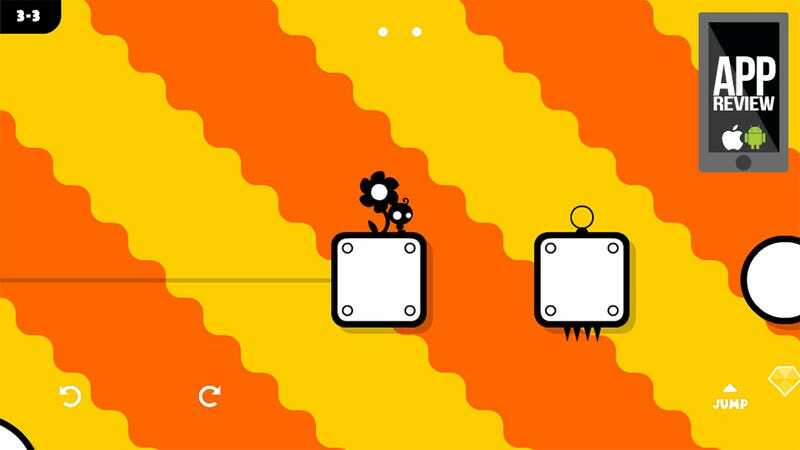 They Need To Be Fed 2 is a near-perfect mobile platformer. Snack-sized levels, simple touch controls and a distinctively stark style combine to create an incredibly satisfying experience.